Hair has long been a complex dream symbol. The Merovingian rulers of France believed it had magical powers. Cutting it was Samson's demise. Keri Russell's character chopped her locks in the TV show Felicity and caused a national uproar. Clearly, hair has a great impact on our lives and on our dreams. In waking life, all manner of cuts, products, chemicals, and devices are employed to make one's hair match their inner self-image. But while our day-to-day hair makes a statement about who we think we are, dream hair is a comment on our true inner selves. 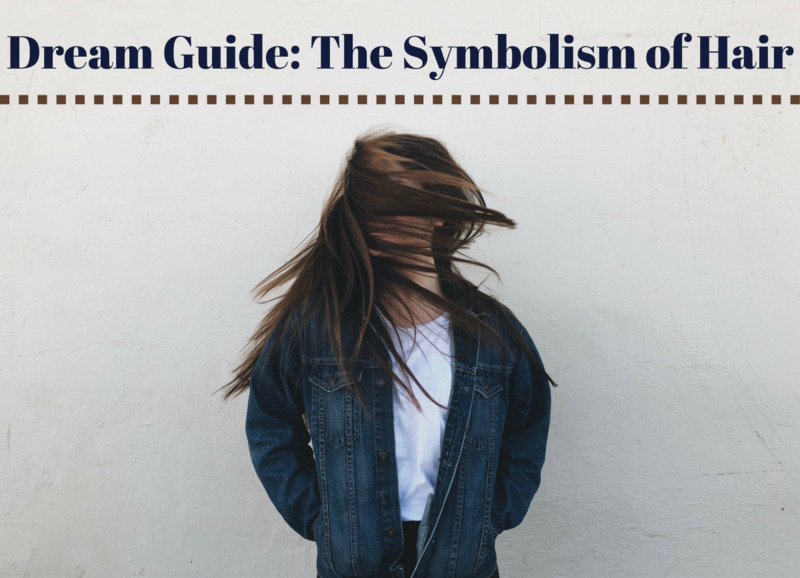 In general, the symbology of hair in dreams falls into several major categories. 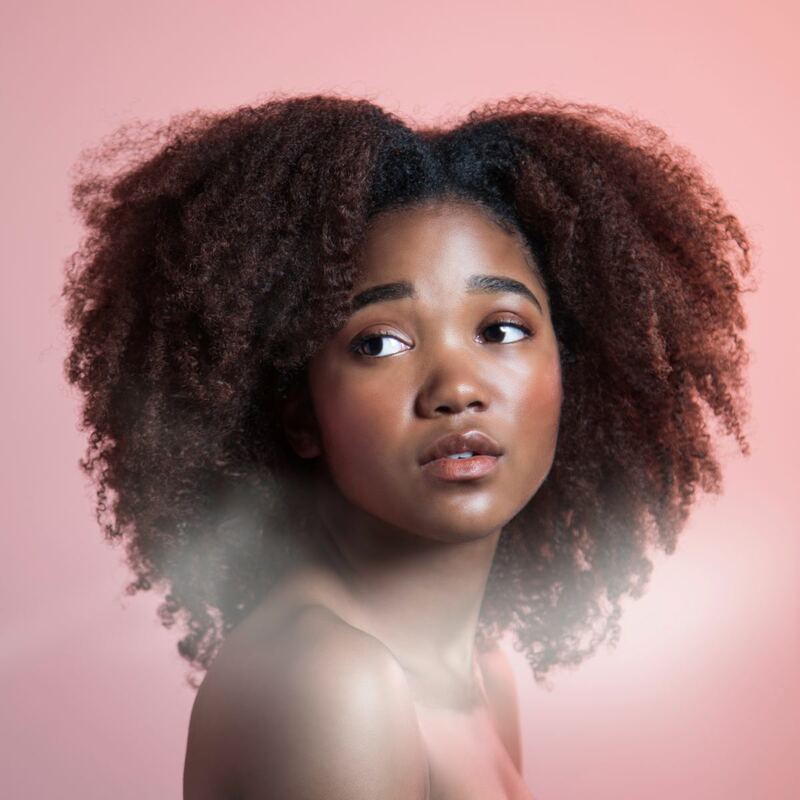 With myriad meanings—both positive and negative—hair-related dreams can be tricky to unravel, but this dream guide will help. Continue scrolling for detailed explorations of the dreams above (as well as a few bonus ones!). 1. What does it mean when hair falls out in dreams? Hair is more than simple protein follicles. Symbolically, hair represents the ideas and thoughts that are growing out of the psyche. So what does it means when hair falls out in dreams? Just as one has no control over going bald, this situation is one in which the dreamer feels he or she has no control. An honest examination of one's waking situation is in order, as one should determine if one is truly powerless or if one only feels out of control; there is a major difference between the two. Another interpretation of dream baldness is that it indicates insecurity or vulnerability in one's day-to-day life (similar to dreaming about being naked!). Note: If you are already bald in your waking life, these meanings do not apply to you. Is dreaming about your hair falling out the same as dreaming about your teeth falling out? There are many parallels between dreams about losing your hair and losing your teeth. Both often indicate fears of aging and death or concerns about one's appearance (though your teeth falling out in a dream could also indicate—among other things—that your diet is unhealthy, you're having financial troubles, or you're worried about saying the wrong thing). If you find yourself dreaming about either or both of these things, you should make an effort to think about yourself in a more positive light. After all, everyone ages, yet we are still beautiful, no matter how old we are. What if I dream about pulling my hair out? 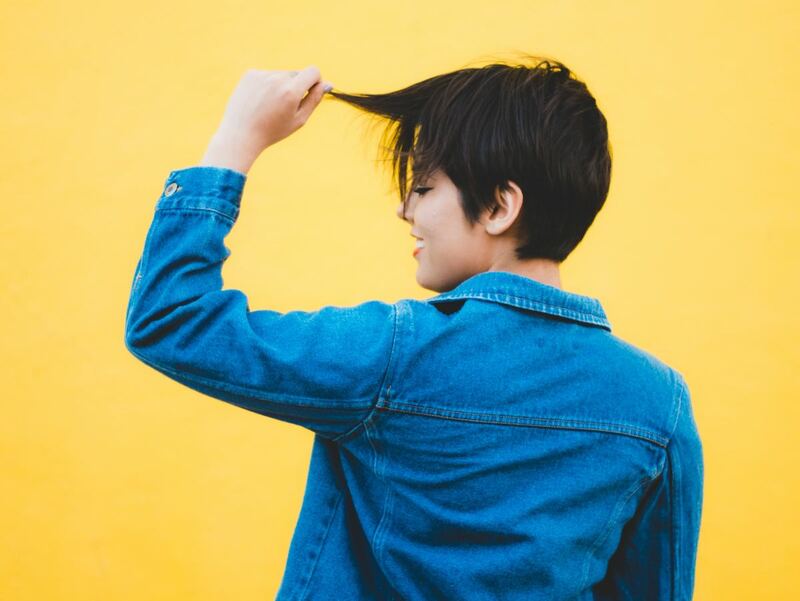 This type of hair-loss dream is typically a manifestation of a stressful situation in one's day-to-day life—a situation that makes the dreamer feel like they are "pulling out" their hair. 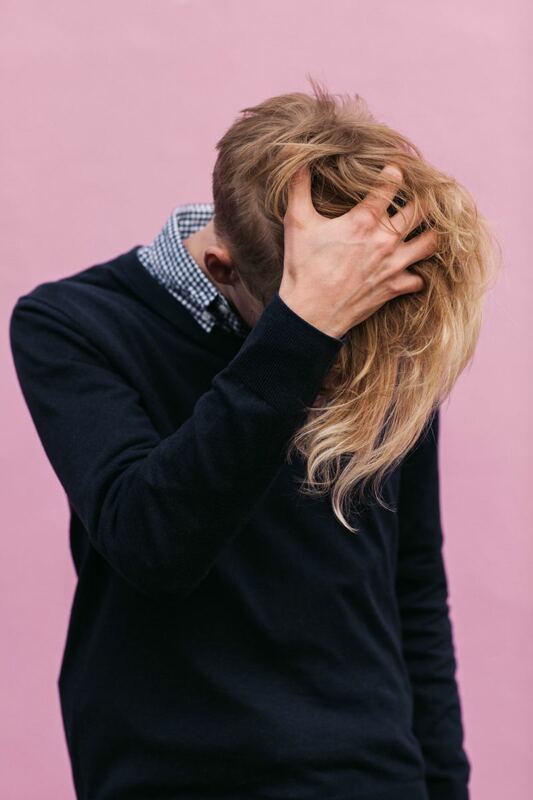 If you dream about pulling your hair out, it likely indicates a desire to lighten the mental or emotional burden you're experiencing in your waking life. What if I dream about my eyebrows or eyelashes falling out? Dreaming about your eyebrows or eyelashes falling out could signify an upcoming betrayal, such as a lover or spouse cheating on you. This is a cue to assess your life and keep an eye out for deception. But don't panic—dreaming about your eyelashes falling out may simply indicate that you have difficulty expressing yourself in your daily life. For women, it may also suggest a loss of feminine appeal or power. Note: If only a single eyelash falls out, this is a sign of luck. 2. What do dreams about hair extensions mean? Sometimes dreams of hair extensions can be nothing more than the wish fulfillment of a waking-life desire. However, they are typically far more symbolic than a mere desire for long hair. Just as hair extensions are unnatural, dreams about them can indicate a strong desire to find an unnatural shortcut through something painful in waking life. For example, instead of experiencing the pain of a breakup, the dreamer may seek the numbness drugs and alcohol provide. While avoidance provides temporary relief, it does nothing to permanently solve the problem, nor does it help make long-term alterations that will help one avoid similar situations in the future. What if just I dream about having really long hair? This can be interpreted in two ways. If your dream hair is very long but you don't feel encumbered by it, this can indicate that you are an organized and responsible person and that you deliberate carefully before making decisions or taking action. 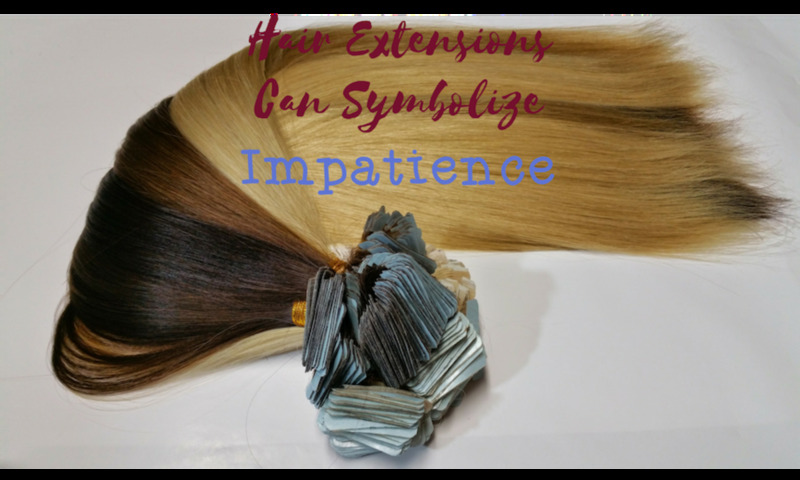 If your dream hair is so long that it gets in your way, however, this can demonstrate a tendency to overthink things to the degree that you are unable to move forward in your life. A dream like this is considered by some to be a call to action. In dreams, hair extensions can symbolize impatience with natural progress. Hair originates inside the body and then pushes up and out. In fact, hair does not grow through the skin but is actually a modified part of it. Apart from the palms of our hands, the soles of our feet, and our lips, hair grows everywhere on our bodies. Hair grows faster during the day than the night, and more slowly in winter than in summer. 3. What is the symbolism of hair salons in dreams? 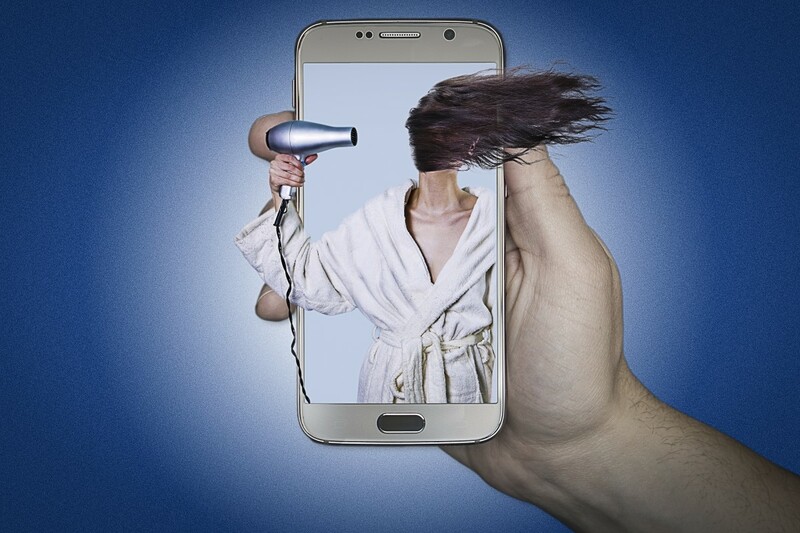 Dreams of going to a salon can indicate real-life transformation and change. If one awakes with negative emotions or experiences them during a dream of visiting a salon, this can mean that the transformation or change is one that the dreamer is uncomfortable with or does not desire. Sometimes negative-feeling salon dreams can also mean that one's self-image has been damaged, whereas if one feels contented over a dream of a salon visit, this most likely means that the changes occurring are desirable, pleasant, and longed for. The transformation takes place within the dreamer and may also be reflected in the physical, outer image that the dreamer presents to the world. 4. 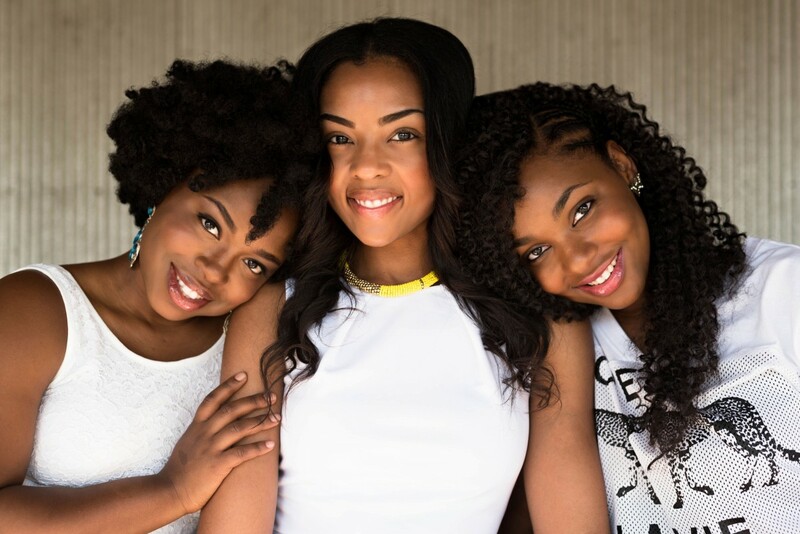 What do dreams about washing, combing, or styling your hair mean? These dreams can be interpreted in many ways; again, it depends on how you feel during the dream and after waking up. you are leaving bad thoughts behind. you are adopting a new way of thinking. you are reorganizing your thoughts. you want to become more spiritually pure. you need to come clean about something. you need to clear your mind so that you can make an important choice. you are concerned about your appearance. If you wake up from these kinds of dreams feeling uneasy, it may be a good time to sit down and think about the stresses and anxieties you're dealing with in your day-to-day life. Can you check a few things off your to-do list, mend fences with a friend, or make an effort to think of yourself in a more positive light? In doing so, you may well rid yourself of your negative hair-related dreams. 5. What do dreams about haircuts mean? Since one is typically in control of taking care of their hair, when someone else is in charge, looking at who that person is and how that person is acting in the dream can be very important. Is that person an ally? Does the change made to the hair create confidence or cause anxiety? 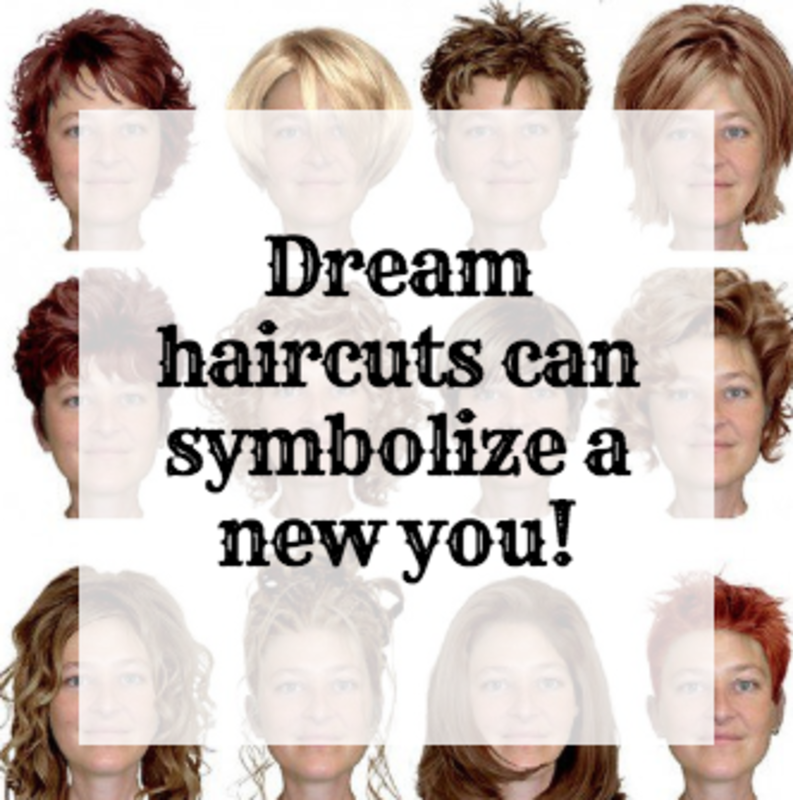 The key to discovering whether a dream haircut is positively or negatively charged is to look at the emotions you experience both in the dream and once you wake up. your inner self is experiencing a healthy transformation. you are shedding that which no longer works in favor of that which does. you are letting go of something painful. a burden is being taken off your shoulders. Dreams about cutting long hair short can reflect the lightening of a burden or the peace that comes with letting go. In fact, shaving the head is, in some religions and cultures, an outward sign of that inner shift. But what about dreams wherein the emotions are negative? you harbor feelings of remorse or guilt. your personal power is being involuntarily stripped away. In the Bible, shaving the head was often a form of punishment or was done to oneself as a sign that one felt remorse for one's actions. When the head is shaved, the entire world can see the result. Perhaps this is why head-shaving was—and sometimes still is—a punitive or remorseful measure. If one feels that their powers are being forcibly taken, the identity of the person cutting their hair in the dream will give clues as to who they feel is responsible for cutting their power supply. 6. What is the meaning of healthy vs. damaged hair in dreams? Though we have hair covering (almost) our entire bodies, most hair dreams involve the hair on the head; this is likely because the head is the seat of mental activity, and hair can therefore symbolically represent one's creativity or patterns of thought. 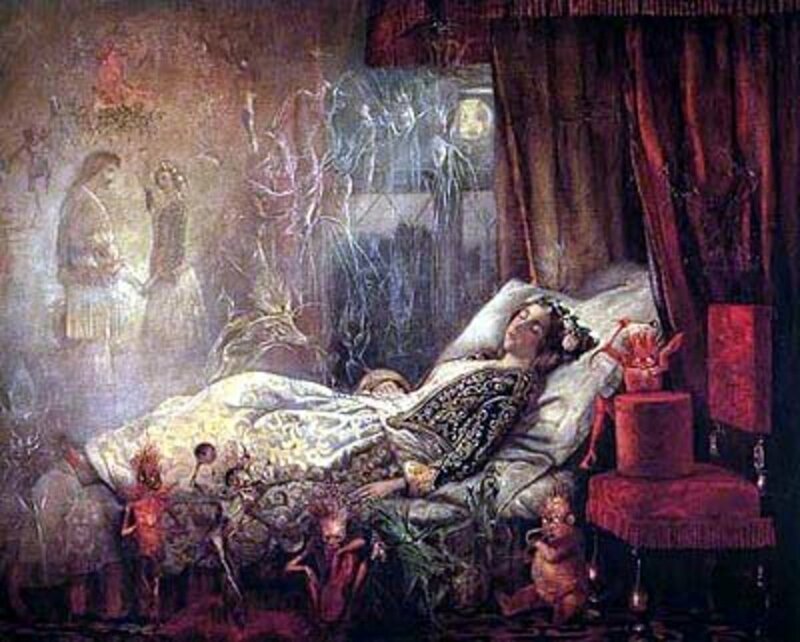 You should carefully examine the condition of your hair in dreams, as it provides important clues about their meanings. 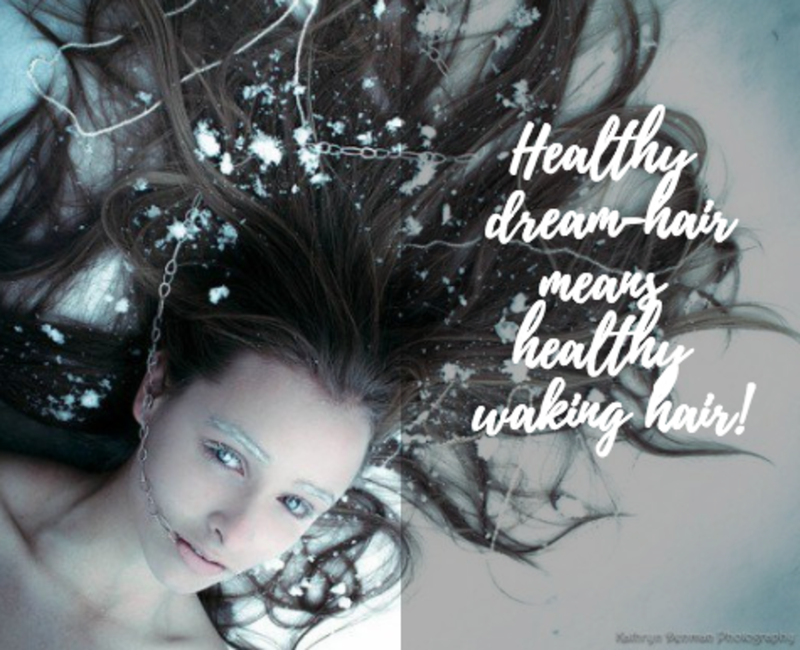 In general, healthy dream hair reflects a happy and fortuitous waking life, while tangled or damaged dream hair can be a sign of complications in your day-to-day life. 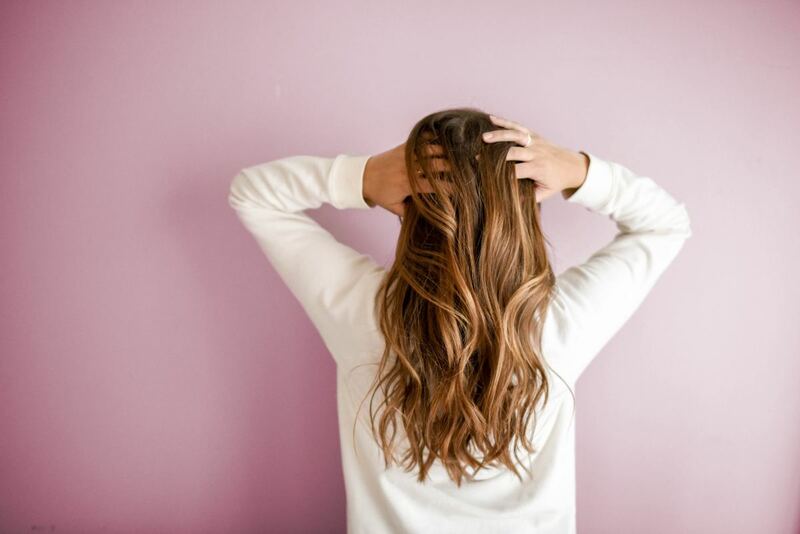 Dreaming that you have damaged or brittle hair can indicate a need to think more positively or in a new way, and tangled hair can symbolize entanglement in a messy or complicated waking-life situation. Dreaming of healthy hair, on the other hand, typically symbolizes that one is in a state of enjoyment. 7. What do dreams about dyeing hair mean? 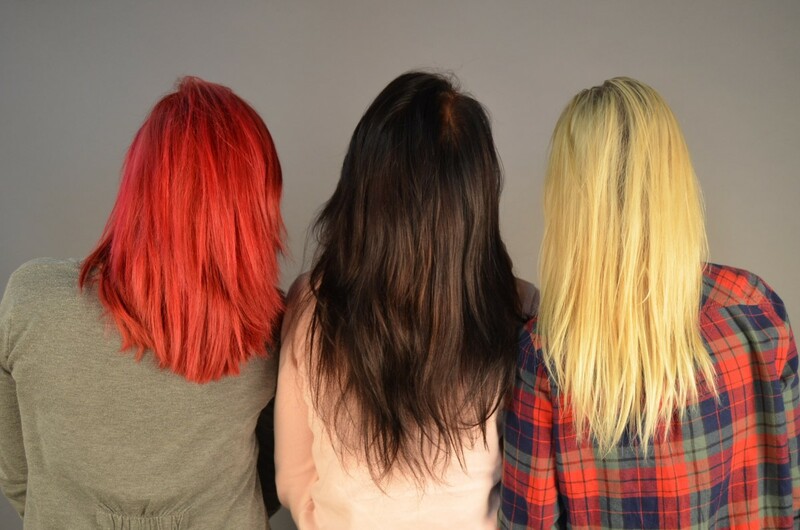 Dreaming about dyeing your hair can indicate a desire to adopt a new identity or outwardly project a "new you." Generally, dreams about dyeing your hair a darker color reflect a desire to be taken more seriously by those around you, whereas dreams about dyeing your hair a lighter color reflect a desire to be more cheerful. Color in dreams is always an important factor in interpreting their meaning, and color in hair dreams is no exception. Black or Bleached Hair: Depression can be symbolized by either dyeing the hair to a deep black color or by having one's hair bleached. While dyeing one's hair black in a dream indicates dark thoughts and deep sadness, the act of bleaching it represents feelings that one's life is similarly colorless and/or stripped of meaning. Red Hair: Red is a complex color, and dyeing your hair scarlet in a dream can symbolize various concepts such as vitality, anger, or even deep alchemical transformations taking place within the psyche. Other Colors: If you dream of dyeing your hair any other color, it may simply signify a desire to satisfy your inner child's desires. Again, taking note of the way you feel during and after the dream is key to understanding if your dream should be interpreted positively or negatively. Note: Dreaming of bleaching your hair white and dreaming of having white or gray hair have very different meanings. 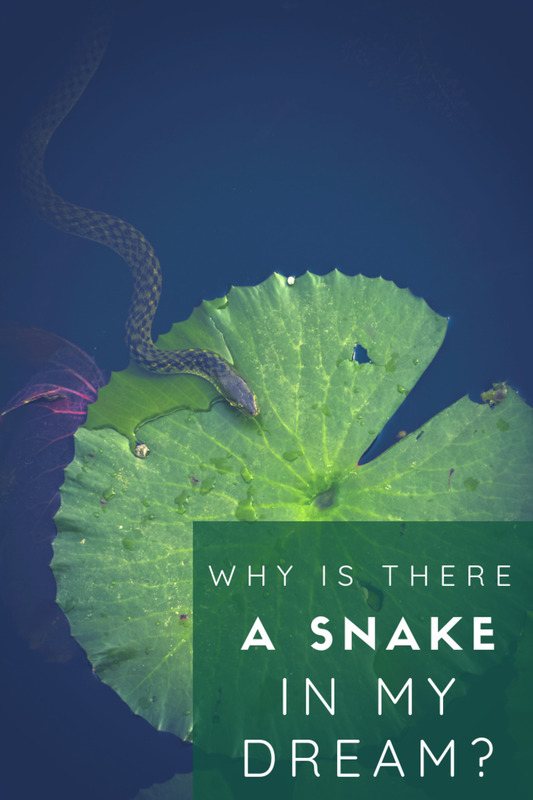 While the former is usually interpreted negatively (see above), the latter is generally seen as positive and may indicate newfound wisdom, a sudden realization or burst of insight, spiritual purity or balance, or spiritual growth. Growing or shaving your beard or mustache: Shaving your facial hair can indicate a minor change in your life or that you have nothing to be ashamed of, whereas growing facial hair can reflect a desire to hide something. Feeling the wind in your hair: This often signifies that you are free (or want to be) or that you feel the need to escape from the daily grind. This kind of dream may also indicate a need to finally be yourself; for example, if you've long been concealing or downplaying a key part of your personality, dreaming of the breeze in your hair might be your subconscious's way of encouraging you to let your true inner-self shine outwardly. Braiding your hair: Braids can range in complexity from quite simple to staggeringly complex. Similarly, dreams about braids can indicate anything from a desire to ditch your insecurities and project a more positive image of yourself to a long journey you will take or thoughts that you just can't get out of your head (for better or worse). Dreams about braided hair may also reflect a need for organization and order in one's waking life. 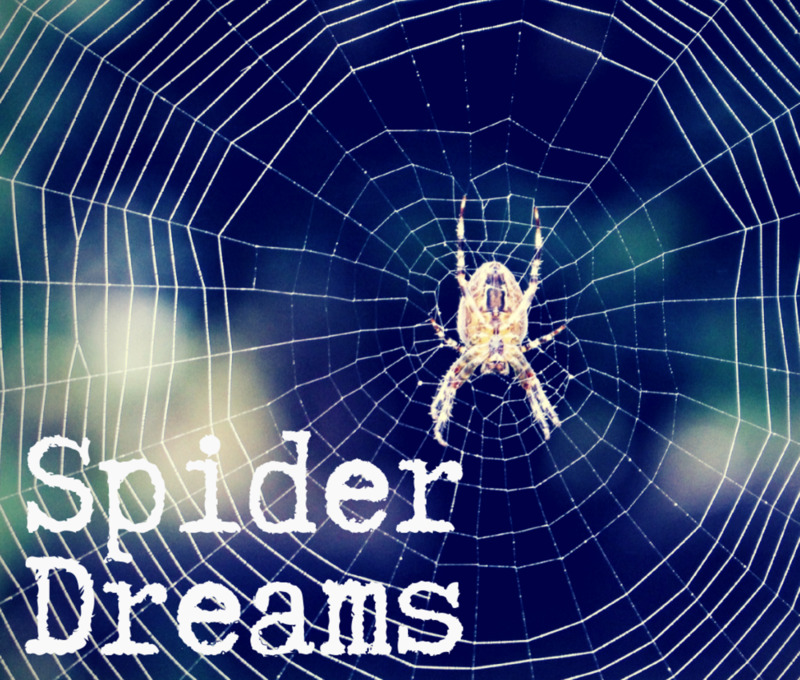 Powerful dream symbols are born out of powerful waking-life associations. The more invested one is in one's hair, the more importance one should place on "hairy" dreams. For those who place importance on their hair, dreams about it can be serious indications of possible issues in life, such as feeling a loss of power or a need to rethink one's personal identity. Dreams are not prophecies, but they can help us understand ourselves. It is important to remember that dreams are not prophecies. Trust me—this will save you from much needless anxiety! Rather, dreams are indications of how one feels and how the unconscious mind is responding to what is going on in the waking world. 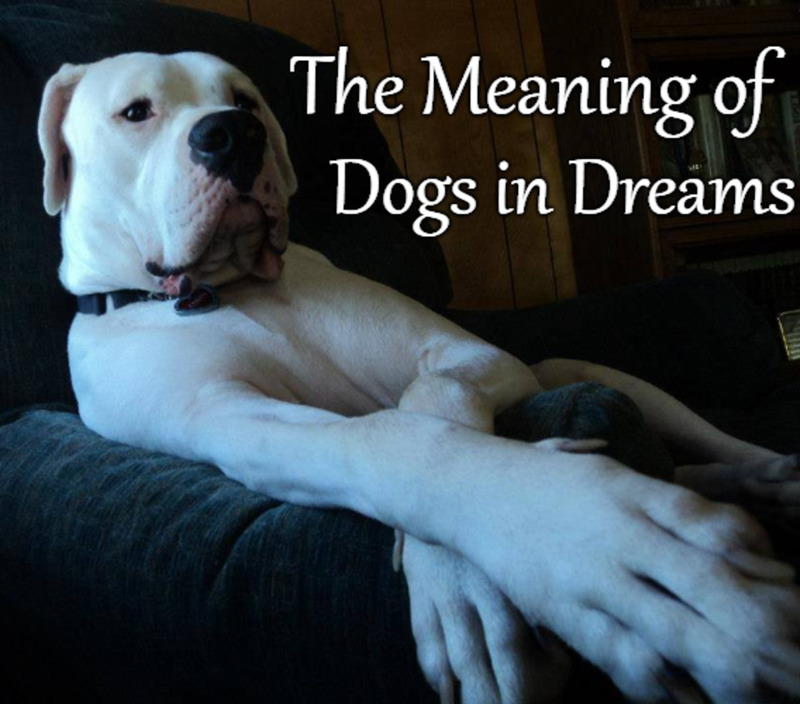 For that reason, learning how to interpret your dreams can be tricky, but also incredibly worthwhile. Never be held hostage by dream imagery; instead, use it as a catalyst for personal empowerment. 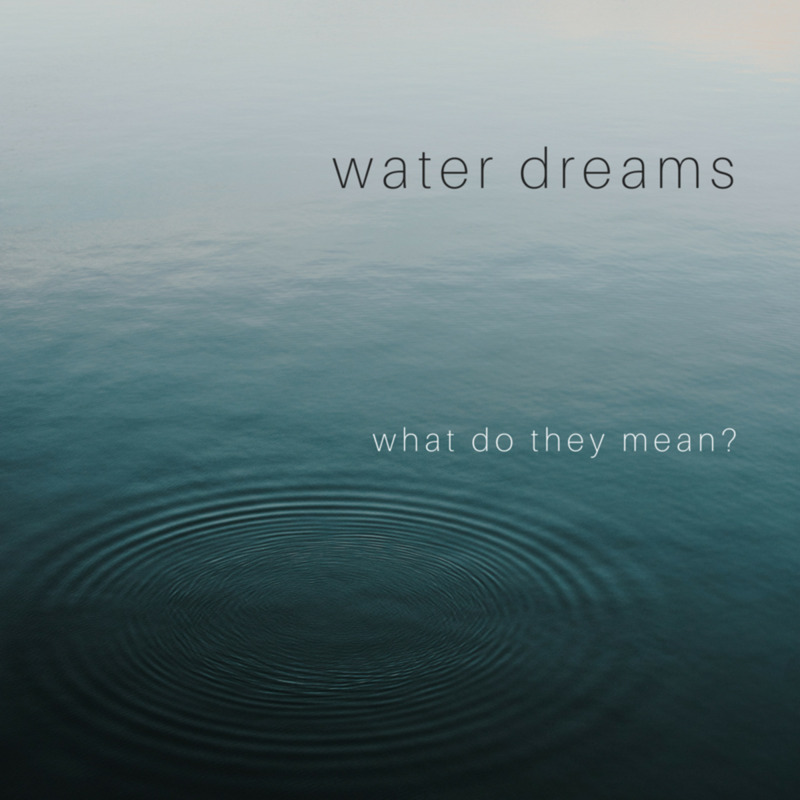 Dreams exist to inform the dreamer as to how to effectively remedy situations that are creating chaos in their day-to-day lives and to reinforce those that promote well-being. Being in touch with your dream life can lead to a better understanding of your waking life, as the two are certainly entwined. If you are interested in learning how to benefit from the things your dreams can teach you, you may want to try lucid dreaming. Once mastered, this skill allows you to control your dreams. Humans have ever styled their hair in a multitude of creative and symbolic ways, and the various cuts, colors and presentations reflected across the ages are nearly unlimited. Hi dear outher, When i was sleeping in night i dream my top head hair is bald like but saraunds by hair in the edge what does mean? I'm not familiar with wish-fulfillment dreams. Would you be so kind to elaborate more on that topic? Yeah, I've been struggling to find a decent job which can be a pillar to my future projects. So it has been financially tough for me. If it's any help I day-dream a lot. Even it seems ridiculous my life's dream s to become a billionaire. Crazy isn't it? This is the first time I post something like this on the internet, but this hair growing thing made me feel like I possess superpower to do anything I want. Btw. I'm not a "looney tune" but this dream was crazier than fiction that's why I decided to google it. Hi Din, thanks for writing. I apologize it took me a while to answer! Your dream sounds two-fold to me. On the surface, it sounds like a wish-fulfillment dream. Are you familiar with wish-fulfillment dreams? If not, please let me know and I'll write more about them. On the other hand, the dream sounds like it may have more to do with your ability to navigate other areas of your life with greater ease than you previously thought possible. Just out of curiosity, is there any area of your life that you feel particularly stressed about or you feel is beyond your control? Why is there no answer to my question? If you need any minutiae of my dream, feel free to ask. I'm a male. 31 years old and I have been losing hair for 7-8 years. My hairline and crown are the most affected. Yesterday night I have dreamt that I have the power to regrow my hair by the concentration of my thoughts in a matter of minutes. Hi Jane, thanks for writing. Could you give me some more information about your dream? hello, i dreamed 2 nights ago that my late husband have long hair. what does it means? thanks. Hi, Michelle. Are you concerned about hair loss in waking life? Okra is just merely a food to me, but in the dream when the stranger mentioned it, i imagined I could apply it topically directly to the affected area rather than ingesting it since it wasn't clear how i should use it. Hi Michelle, thanks for writing. I have had dreams where odd words are in thrown out there as well. The best way I've ever come up with a meaning for them is to try to find associations I have with the word. So, what associations do you have with the word, "okra"? Hi Jean Marie, thanks for writing. I would need a little more information to help with that question. Were you combing your own hair or someone else's? Was the hair easy to comb or tangled? Hello Don! 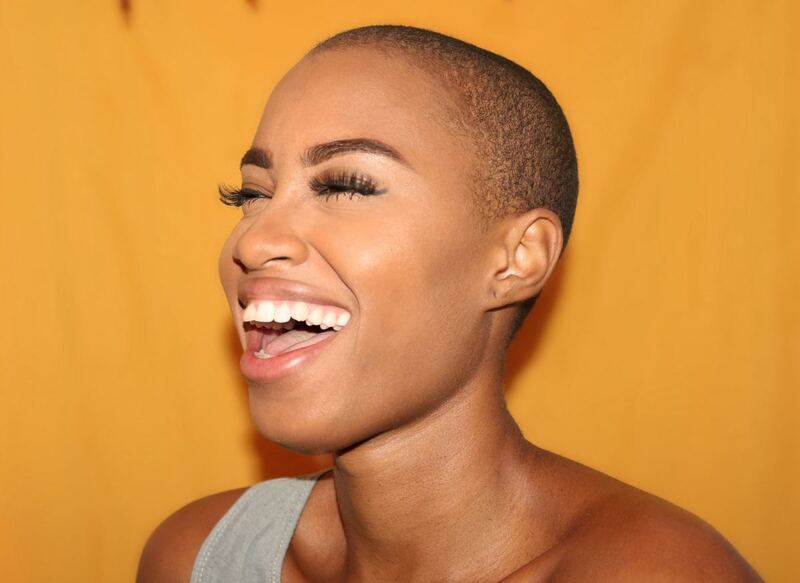 So you're having recurrent dreams about your hair growing and cutting it? You mention that in the dreams you are frustrated. Can you give me a little more information about what it is that frustrates you? Are you frustrated that your hair is taking a long time to grow, frustrated that it keeps growing long, or frustrated about cutting it? I've been constantly dreaming about my short hair growing and becoming long and trying to cut it while being frustrated. Any idea what this might mean? Hi Su! I'm having trouble understanding which part of your comment is the dream. Is the whole comment the dream or were you actually diagnosed with breast cancer and then had your hair grow back blonde? If you were diagnosed with breast cancer, how are you doing? Hi been having strange dreams of late about my hair. I was diagnosed with breast cancer a couple of months ago. My hair grew back blonde and very unruly. I have beautiful dark naturally wavy hair. I also had my friend colour it in very trendy wild colours after attending a hairdressers to get it styled funky first. I love my hair now so that dream was quite alarming. Hi thank u the interpretations was spot on amazing.. Thank you! I haven't responded because I haven't been working due to health issues. But I appreciate your kind comment! Hmm, Fascinating. Never thought of hair as a symbol.It makes sense though when you think about it. Again you have amazed me with such a fascinating idea or fact or whatever its called. Thanks for making such a great hub.